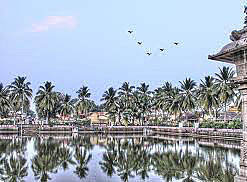 pillayarpatti: It is just a few kilometres from karaikudi(15 minutes).It is the temple of lord ganesha.The history of the temple dates back to the ancient period(1091 AD) and the architecture of the building is very smart.There are different kind of lamps to light the temlple.The best season to go is from dec25 to jan5.The january 1st day is very famous.The prayer starts early in the morning. Thousand window house:It lies inside the city.karaikudi is very famous for the giant buildings of the past.Their architecture is very different.They were built in 1950's by the nattukottai chettiars.still now they stand strong without any cracks.but some of buildings are not maintained properly.steps had been taken for the maintenance of the buildings by the indian tourism development board. Thirumayam fort: .The ancient fort was built by Sethupati Vijaya Raghunatha Tevan.Near the fort there is small temple of bairavan. 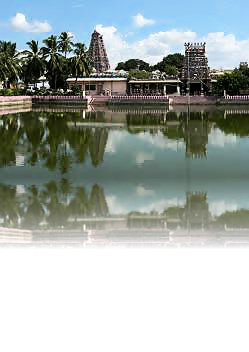 Karaikudi is the bastion of Chettinad culture, captivating the visitor with spectacular mansions, refined woodcarving, and tangy Chettinad cuisine. The Chettiar community, torch-bearers of modern banking, has now laid open several of their magnificent homes, offering unique home-stay insights to the venturing Chettinad spirit of enterprise. The visitor is welcomed to the family’s history, the quest for success and the drive that has yielded these grandiose buildings, their egg plastering technique…leading on that magnificence to fine silver handicrafts, woven saris, palm leaf baskets and unique hand-made Athangudi tiles. 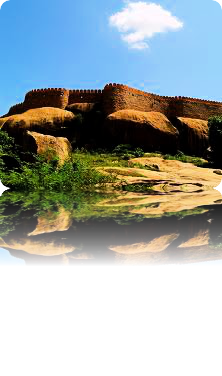 The immense tourism potential of Chettinad, which has been receiving a large number of foreign tourists, will be utilized to boost the economy of local people through a number of community-based initiatives. Creating employment opportunities through tourism projects, creating market linkages for artisans of Chettinad region, training for artisans to improve the skill, promoting rural livelihood, and marketing Chettinad cuisine through innovative methods are few of the plans. As a first step towards exploring the avenues for income generation of local people and to sustain the efforts of popularizing the pride of Chettinad, the district administration, with the support of DHAN Foundation, firmed up a community managed rural tourism concept. 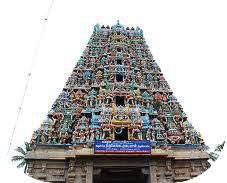 The aim is that local people should receive benefits by marketing all Chettinad related items such as Kandanki saris, Athangudi tiles, wood carving works, and other handicrafts. All the efforts would benefit the larger masses of the local community and would bring back the traditional living. The community managed tourism would involve multi stake holders for the holistic approach of poverty reduction, and gender empowerment and invite the migrated citizens to return to live in their own place and bring back the traditional livelihood of the local community that would sustain for generations. The socio-economic development of the host community could be visualized, through the impacts of tourism. Exploring the avenues for livelihood promotion and the scope of development in the villages through tourism. Promoting people institutions for sustainability. Identifying the role of different stakeholders in poverty reduction through tourism and involving them. Benefiting the community through significant tourism economy. Nurturing the skills of the community to promote especially skilled persons in the community. If you could add Sirugoodarpatti - the birth place of Kaviyarasu Kannadhasan shall also be added in this list. Those who are interested in the Poet's birth place could make use of it. Kavirimaindhan, kaviri2012@gmail.com, 00971502519693 Dubai (Kaviyarasu Kannadhasan Thamizh Sangam).. Founder and General Secretary. Its really nice article..Thanks for sharing..